The Yukon Nominee Program (YNP) is a joint venture between Immigration, Refugees and Citizenship Canada (IRCC) and the Yukon government. It enables the Yukon government to put forward the names of those applying for permanent residence in the Yukon who they feel would be of most benefit to Yukon society and its economy. Qualifying applicants will receive a nomination from the Yukon government which goes to the IRCC; it's important to note that the IRCC have the final say overall decisions. Persons who are claiming refugee status in Canada, who have had refugee status denied, who are fighting deportation from Canada or who are in Canada illegally are not eligible to apply for permanent residence through this program. There are four different streams to the program for different categories of workers, as detailed below. This program is for qualified workers who have a job offer from a Yukon employer in the National Occupational Classification (NOC) 0, A or B category. The employer must be a Canadian citizen or permanent resident and have been operating their business in the Yukon for at least one year. The wages offered must be equal to or greater than the median wage for the occupation, and the employer is obliged to pay for air travel to the Yukon for the employee if they do not already live there (the employer is not obliged to pay costs for the employee's dependents). The employer must have advertised the post in question for a minimum of four weeks and been unable to find a suitable Canadian or permanent resident worker, and the post must remain advertised until the YNP decision is given. The employee must have a level of education that is appropriate for the job offered, with a minimum of completed high school education or equivalent. The employee must be able to show that they have at least a year of relevant work experience for their position and proficiency in language: if the post falls into NOC 0 or A, the applicant must have reached Canadian English Language Proficiency Index Program level 7, if it falls into category B they must have reached level 5. This program is also for skilled workers as above but is for those workers who have been accepted onto the IRCC Express Entry system. Workers must qualify for the Federal Skilled Worker Program, Federal Skilled Trades Program or Canadian Experience Class. If they have suitable qualifications they may be accepted into the IRCC Express Entry pool and given an Express Entry Profile Number and a Job Seeker Validation Code. 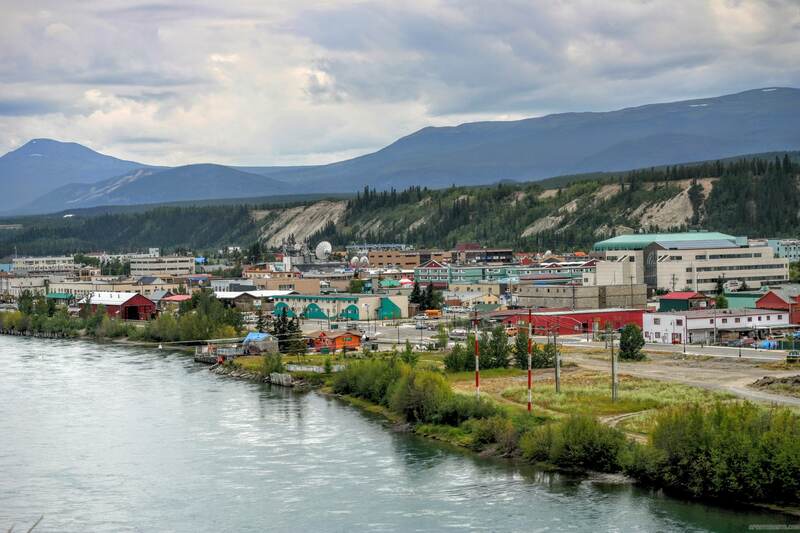 If a worker is then offered a job in Yukon they can apply to the Yukon Express Entry system: if successful Yukon Immigration will forward their application to the IRCC. This process can considerably accelerate applications for permanent residence in Yukon, with workers following this program usually receiving permanent residence within six months of completing their application. This program is for semiskilled workers who are looking for employment in the National Occupational Classification categories C or D. As with the skilled worker program, employers must have made significant efforts to advertise the available post before offering it to a foreign worker. The employer must also be prepared to pay for the travel costs of the applicant to come to Yukon if they do not already live there. The applicant must have a minimum of a completed high school education or equivalent and at least six months of relevant work experience for the position offered. If the applicant is already working in Canada, they must have a valid work permit and it must remain valid throughout the application process. Applicants in this category (NOC categories C or D) must demonstrate language proficiency of level 4 on the International English Language Testing Score or level 3 on the Test d’évaluation du Français. This program is for those wishing to take up permanent residency in Yukon and to start, take over or become a partner in a Yukon business. Those wishing to follow this program will, if successful, be given a two-year work permit that will allow them and their family to stay in Yukon and establish their business. If at the end of this period all the requirements of the program have been met Yukon will support the candidate's permanent residency application to IRCC. Applicants must pass an assessment based on age, qualifications, experience, finances and willingness to settle in Yukon. Applicants must have a minimum of a high school education, three years of business management experience or entrepreneurial activity and five years of appropriate work experience. They must have a minimum level 6 on IELTS (English or level 4 TEF Canada (French). Their net worth must be at least $500,000, with $300,000 of that in liquid assets: they must make a minimum investment of $300,000 in their business in the first two years. Applicants must present a viable business plan for a business that falls into one of the categories deemed desirable by the government of Yukon.